Firstly I would like to thank 1MORE for sending me this sample to review, it is a new IEM from the sister company of Xaiomi, These received over 50 hours of burn-in, I did not notice any differences. The packaging is slim and elegant, a small matte black box with a window showing off the IEM’s inside, information and specs are listed on the back but are all in Chinese. Inside the box you will find a plastic case holding the IEM’s in a central rubber insert, this can also be used as a case but the plastic parts don’t clip together so a dedicated case would have been nice. Overall small and neat packaging and perfectly acceptable for a product in this price range. Accessory wise they come pre-installed with M single flange tips, and come with XS, S, and L single flange tips too. 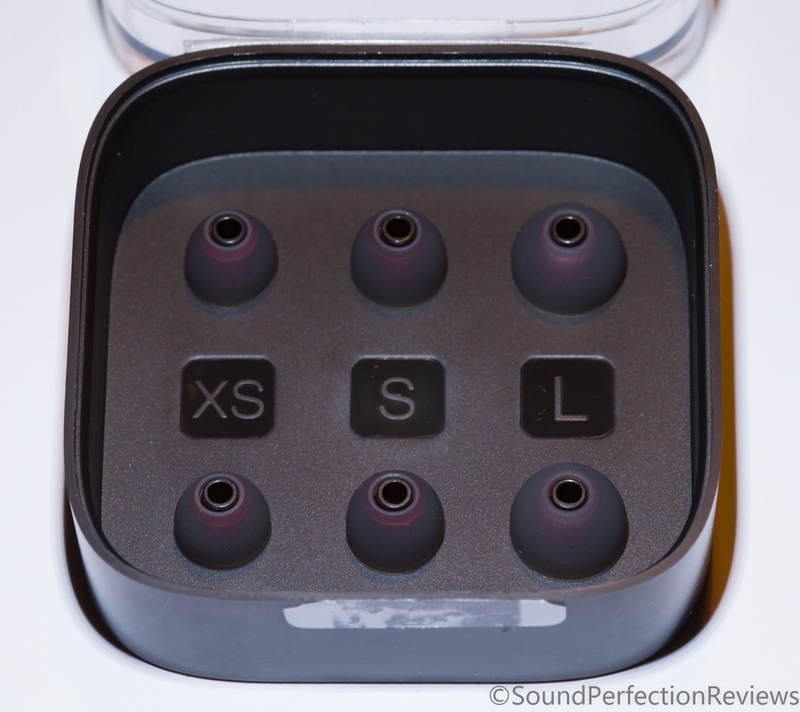 They also include some rubber accessories that help keep the IEM’s in your ear. The rubber insert of the plastic case doubles up as a cable storage device, but no proper dedicated case is a bit of a shame. Not bad, and most people will find a good fit with the supplied tips. 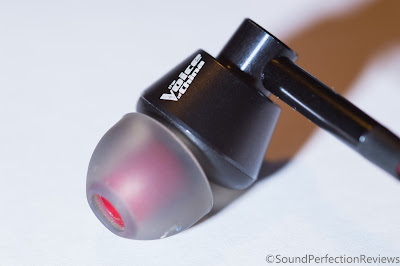 Build quality is not bad at all, these are budget IEM’s so don’t expect extreme quality but the aluminium housing is well finished and very light, the plastics used are also perfectly acceptable. The cable has sufficient strain relief, but the top section is a little stiff, I would have like softer cable for the part above the y-split. The 3-button remote feels well built and all the buttons work as they should when used with an Apple device. With a bit of care I can see these lasting a while. 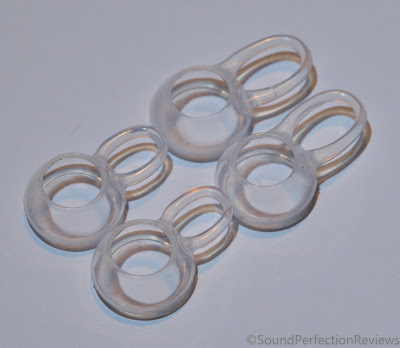 Well I couldn’t get a good seal with the silicone tips, I am used to deep insertion and these IEM’s work best with shallow insertion so I found them difficult to wear with the standard tips. I managed to fit a pair of Comply tips on to the (T200 series I believe) and found them to be comfortable for periods of more than an hour easily. The housing is a good shape and doesn’t cause any discomfort. 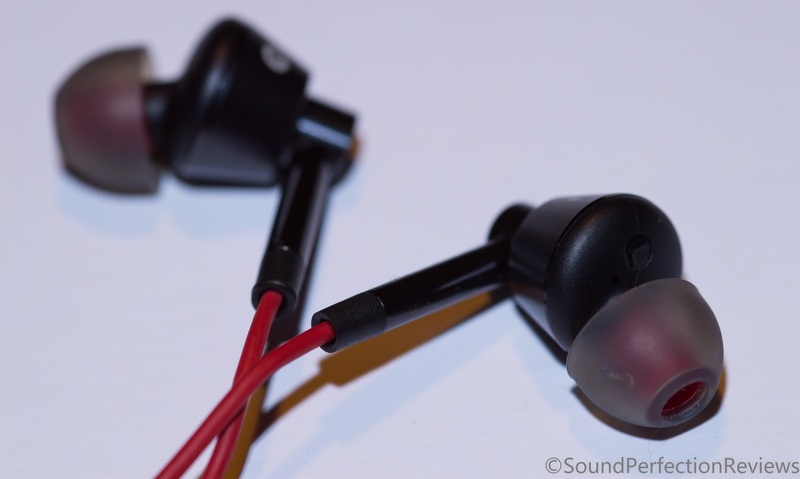 Isolation is not great due to the semi-earbud type shape, along with its vented driver. I still found the level of isolation (with comply or silicone tips) to be suitable for short commutes, but I would advise you use something with more isolation is using the Tube or flying a lot. Driver flex is not present due to the vented design. 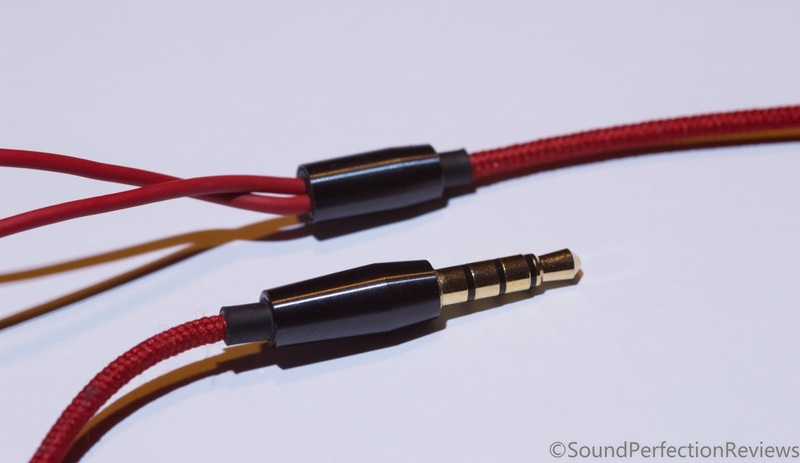 Cable noise is a slight issue, and I would have liked to see a chin slider to help take up some slack on the cable, or even a shirt clip would have helped lessen this. But I did not find it bad enough to disturb my listening. But the cable does retain some shape due to the stiffer materials, which didn’t help with the cable noise. Split in to the usual categories, with a conclusion at the end. The lows are full and quite pronounced but not bloated, they do sound a little bloated sometimes, and are not the best fastest or most controlled, but for the price they do fair well. The good thing about the lows is that they don’t mask the rest of the sound, yes the lows are present and always audible, but they keep in their place nicely. They do have good extension and body, with kick drums not sounding hollow, but they could be a little tighter and faster in my opinion. Both male and female vocals fair well, without too much warmth being added from the lows, these work better with modern alt rock as they don’t quite have the speed and crunch to keep up with faster rock, neither do they have the subtlety to do justice to well recorded jazz and classical. Saying that the mids are only slightly behind the lows in presence, are guitars are well separated. 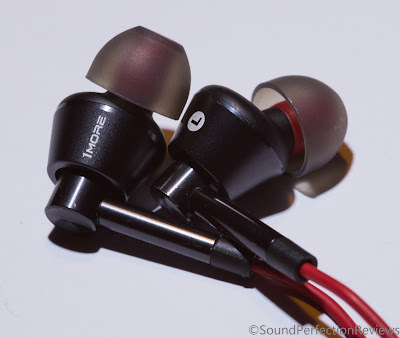 They don’t quite have the detail and crisp sound more expensive IEM’s have, but for the price and usage they are just fine, also smooth with no sibilance is a plus for easy listening. The highs are not toned down to inaudible levels, they are still fairly clear and present without any harshness but cymbals can sound a little splashy, again this is to be expected from $30 IEM’s, and to my surprise the highs are actually fairly well placed, with enough presence to satisfy without them sounding bright. Not the best defined, but the quantity is great for everyday usage, and keeps them from sounding too warm. The soundstage on these is fairly average, not particularly wide, which gives them quite a fun and engaging sound. The instrument separation is good overall, sometimes bass guitars can mask rhythm guitars a little but most of the time you can hear clearly every instrument. 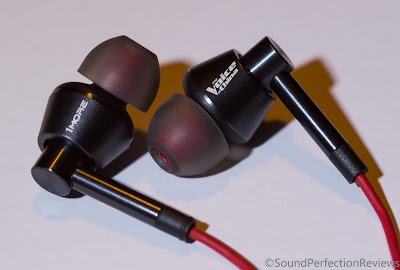 Conclusion, well these are very cheap, and for the price you actually get a good all round IEM, they have good build quality, the comfort is good once you have found the right tips (I always recommend Comply to people with fit issues) and a fun and engaging sound. The sound lacks refinement, but it does have fun on its side, and makes these great for a cheap gym or commuting headphone. For the price I cannot actually fault them, everything is there.